As the leader in the outdoor living industry, The Outdoor GreatRoom Company™ (OGC) is excited to debut the Edison Gas Fire Pit Table. This innovative gas fire pit table combines industrial design with a modern look to redefine the outdoor living experience. As the leader in the outdoor living industry, The Outdoor GreatRoom Company™ (OGC) is excited to debut the Edison Gas Fire Pit Table. This innovative gas fire pit table combines industrial design with a modern look to redefine the outdoor living experience. 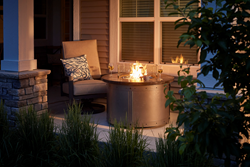 The Edison Gas Fire Pit Table features a powder-coated steel base and Weathered Grey Barnwood Supercast™ top. The Crystal Fire™ Burner is UL Listed for safety and quality. The Edison Gas Fire Pit Table is made in the USA. 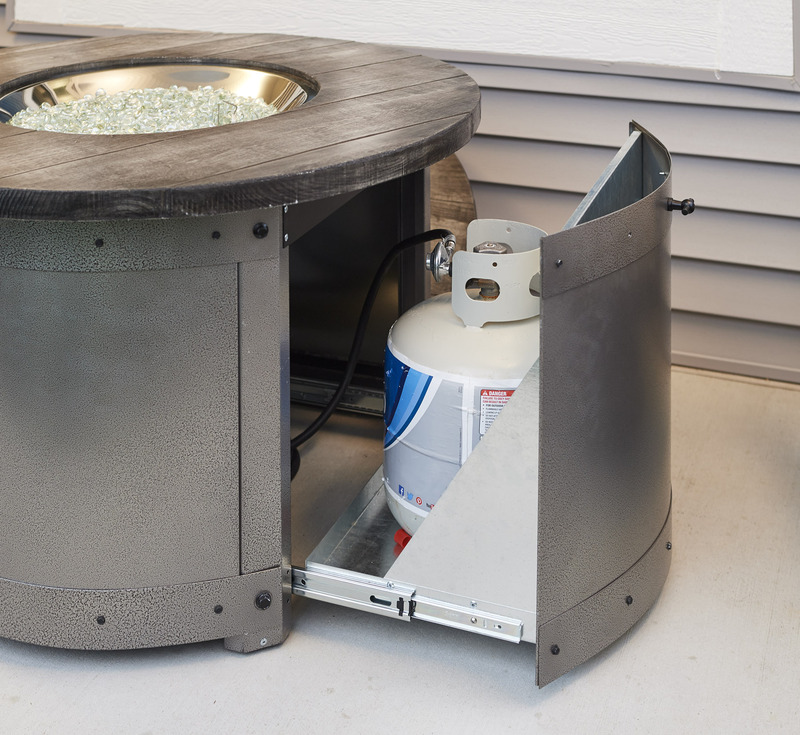 A sliding door on the base offers easy access to a 20 lb propane tank and keeps the tank concealed during use. The mesmerizing fire reflects off a bed of tempered fire glass to complete this weatherproof fire pit table. The Edison Gas Fire Pit Table, along with other trendsetting outdoor products, will be on display at the ICFA Preview Market in Chicago July 17-19, at booth #7-7054.